Spectacular A-frame home with authentic mountain charm. Impeccable recent upgrades include a custom kitchen with Caesarstone Quartz countertops, remodeled main level bathroom, new flooring and drywall. Large window line provides lots of natural light to the main floor. Bedroom and bathroom on the main level. 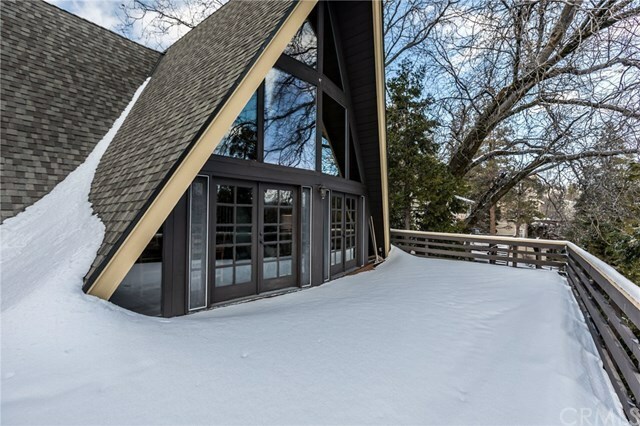 Two fireplaces and lots of space for entertaining, including a large deck, family room with wet bar and a large loft. Family room could also be used as a third bedroom. Newer parking pad. Located close to the lake. Make this your own mountain paradise!